When you invest in property, it’s important to find an area that will provide you with a positive level of return. After all, it’s likely you entered the field of property investment to make a profit. But what features should you look out for when selecting an area to buy rental properties? Here is a list of five key features you should keep an eye on. It’s important to work out your budget before you delve into property investment. Otherwise, you could face buying into an area that you can’t afford to keep up with! Determining your budget is an essential first step before you even think about beginning your search, as the amount you can afford to spend will influence your return. Australia’s population is forecasted to grow significantly over the oncoming years. This means a number of things for investors. Firstly, governments will aim to boost housing supply in areas that are predicted to see growth in residents. Secondly, there will be more accommodation seekers in the market. As a result of growing populations and urban expansion, many state governments have placed a significant level of investment in improving infrastructure. This can help you to pinpoint up and coming areas that will be hotspots for people to live and work. Infrastructure is an extremely important feature that home seekers look towards when finding a new place to live. Whether it is access to public transport networks or road systems for an easy commute, the level of infrastructure can be a key feature of a great area to invest. High rental yields are key to receiving a positive return on your property investment. This figure is usually expressed as a percentage and can be found by dividing annual rental income by the purchase, multiplied by 100. The higher this percentage figure is, the better the rental yield is for the property. It’s important to note that just because an area has a high rental yield doesn’t necessarily mean it’s profitable. 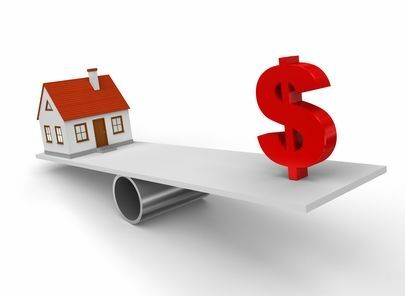 You’ll also need to consider the rate of capital growth over the long term and cash flow generated from the home. Keep an eye out for great amenities in potential investment spots. This includes schools, healthcare centres, shops and entertainment facilities. Good amenities can make areas more appealing places to live, and depending on the type available in your area, they may attract certain types of tenants.